These days, everyone has a carry-on bag. After domestic airlines began raking in billions in checked-bag fees in 2008, the amount of passengers packing carry-ons soared, according to TSA statistics. This means the carry-on market has exploded. 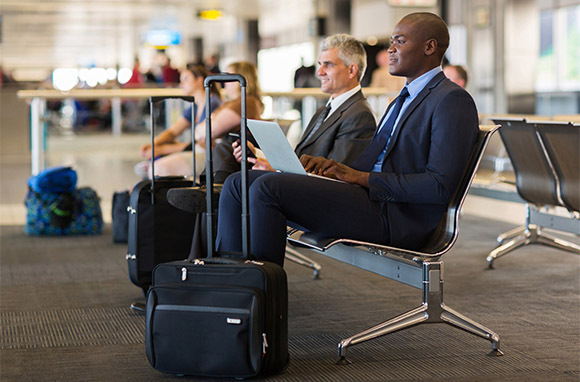 Every major luggage retailer now offers multiple carry-on models in multiple sizes, each with an exhaustive list of features and configurations. So which one is best for you? In-line vs. spinner wheels? Collapsible vs. hard-sided? Lightweight vs. ultra lightweight? Buckles? Ballistic material? Don’t get overwhelmed, travelers. We’ve narrowed down dozens of bags to come up with this list of 10 exemplary carry-on options. We schlepped these suitcases on public transportation and airplanes and through security and customs, packed them and lifted them over our heads, and careened with them at full-speed around sharp corners. Of course, luggage is not one-size-fits-all, so we took into account several criteria, including height, weight, maneuverability, and all the bells and whistles—from TSA-approved combination locks to high-performance materials—when devising this list. Best of all, each of these bags comes in at $300 or under (and some are way under; think $80 or less). Further markdowns can always be found via Amazon, eBags, and other discount retailers, so before you buy at full price, do some Internet sleuthing for the best possible deal. What’s our recommendation for you? Click through for the 10 best carry-on bags for each type of traveler. The Good: This bag, from iconic French brand Delsey, was one of our favorites for its organizational features. Somewhat lightweight but still remarkably durable, it gets its shape and sturdy stature from its tough ballistic material. A padded laptop sleeve on the front of the bag makes it easy to pack your gadgets (and remove them for inspection in the TSA security line). An easy-to-access compartment at the bottom of the bag seamlessly stores toiletries or dirty laundry, while the interior contains multiple mesh pockets: perfect for the hyper-organized. The Iffy: When in use, the laptop sleeve can make the bag front-heavy and liable to tip. 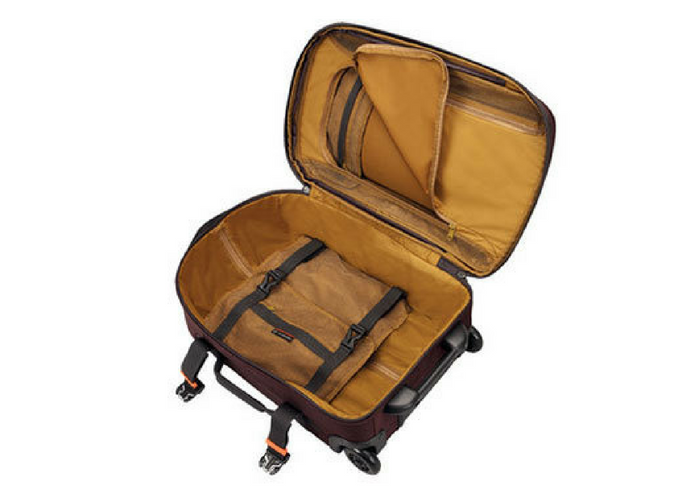 Also, the bag’s spinner wheels may stick out of the airplane’s overhead compartment, so you’ll need to stow this Delsey sideways (or risk it not fitting on a super-crowded flight). List Price: $148 via Amazon. The Good: We’ve reviewed the Contempo bag before, and we love it still for its foldable design and scratch-resistant nylon material. 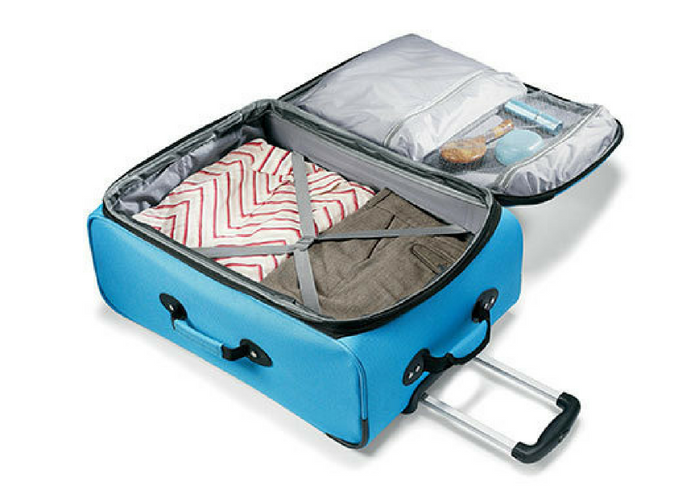 This kicky collapsible and expandable bag from Biaggi folds down to 50 percent of its size for easy storage in tiny hotel rooms, cruise cabins, or city flats. 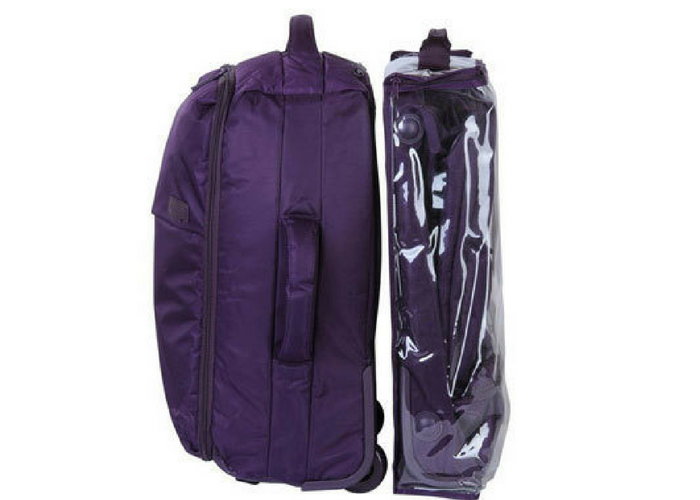 The telescoping handle is sturdy, while the smooth-as-butter spinner wheels make this one of the most maneuverable bags on our list (and a joy to glide with through busy airports). The interior is surprisingly spacious, with light, elastic straps that don’t add a bit of bulk to your folded clothes. The Iffy: A little bit pricey with an MSRP of $200, this cool bag sits squarely in the “splurge-worthy” category. Also, despite its much-lauded foldable factor, it’s not exactly lightweight. List Price: $199 via Amazon. The Good: Swiss outfitter Victorinox is known for high-performance adventure-travel goods, and few of its luxe uprights are priced under the $300 mark. Luckily, this expandable carry-on is one of the brand’s more wallet-friendly options. Easily tucked into an overhead compartment, the slim, wheeled bag has pockets galore (we counted five inside and out) as well as exterior compression straps to secure the bag’s contents (good for bumpy flights or Jeep rides to your campsite). Made from patented fabrics Teleolon and Versatek, this wheelie is as rugged as it is practical. The Iffy: Due to its lack of dedicated laptop storage, this bag is not for those traveling with lots of tech devices. Its unremarkable in-line wheels are also not likely to convert any spinner fans. List Price: $195 via Amazon. The Good: IT Luggage set out to design the world’s lightest bags, and indeed, they’ve produced a winning line of ultralight, supremely mobile suitcases. Now in its second generation, the World’s Lightest 4-Wheel Carry-On combines high-density polyester with a strong but lean fiberglass frame. (In a recent review, one of our editors said it was so weightless that her one-year-old could drag it around.) With in-line wheels, extra features are scarce on this inexpensive bag. But, at a paltry 3.5 pounds, this suitcase weighs less than most airport burritos. The Iffy: We’d be wary of checking this bag, as it lacks the structural integrity and pocket storage of a heavier suitcase. And, somewhat annoyingly, its wide handle means you may not be able to secure an additional purse or personal item on top. List Price: $125 via Amazon. The Good: This Lipault is a smart alternative to the Biaggi Contempo, clocking in at $90 cheaper, and, at just five pounds and change, it’s a full three pounds lighter than its pricier alternative. Foldable, this carry-on easily fits into its PVC storage bag for out-of-sight, out-of-mind stowing. The high-grade nylon twill material is soft, pliable, and easy to wipe clean of dirt or grime. Surprisingly, the zippers and aircraft-grade aluminum handle were among the sturdiest we tried, despite the relatively lightweight nature of the bag’s materials. And a cute color palette gives this bag a stylish flair. The Iffy: With its slightly tapered shape, there is less room at the top of the bag, so it requires careful packing. The interior isn’t sizable, either, with minimal pockets, and the in-line wheels give the Biaggi an edge over this Lipault when it comes to maneuverability. List Price: $109 via Amazon. The Good: This duffel wouldn’t be caught dead with your gym bag. Ultra lightweight at 4.5 pounds, the 22″ Ozone by adventure outfitter Osprey is a sleek, resilient bag that features some of the smartest packing modules we’ve found: four external and three internal pockets perfect for stowing toiletries and small necessaries. The aluminum chassis is light and the ergonomic handle makes for a comfortable grip. While it lacks spinner wheels, the Osprey’s polyurethane in-line wheels are smooth, low profile, and relatively easy to maneuver around tight corners. The Iffy: Despite its countless pockets, there’s no laptop storage, keeping this bag decidedly analog. And $230 is a lot to pay for a duffel-style bag with not-so-fancy wheels. List Price: $230 via Amazon. The Good: American Tourister, now under the Samsonite umbrella, has been designing inexpensive bags since 1933 and is by now a bit of a heritage brand. The experience shows. While the Splash line lacks some of the nifty innovations and chichi materials of the flashy new luggage brands, this 21-inch bargain bag had one of the most generous interiors that we tested, with an expandable main compartment that added to its depth. The polyester fabric comes in kid-friendly turquoise or magenta. Aside from that and Samsonite’s 10-year warranty, the bells and whistles are pretty nil. The Iffy: The handle was frustratingly flimsy, although we loved its padding. This bag also tipped right over with one heavy item inside. We doubt the Splash holds up as long as pricier models, but for so little money, it’s not a bad deal. List Price: $69 via Amazon.